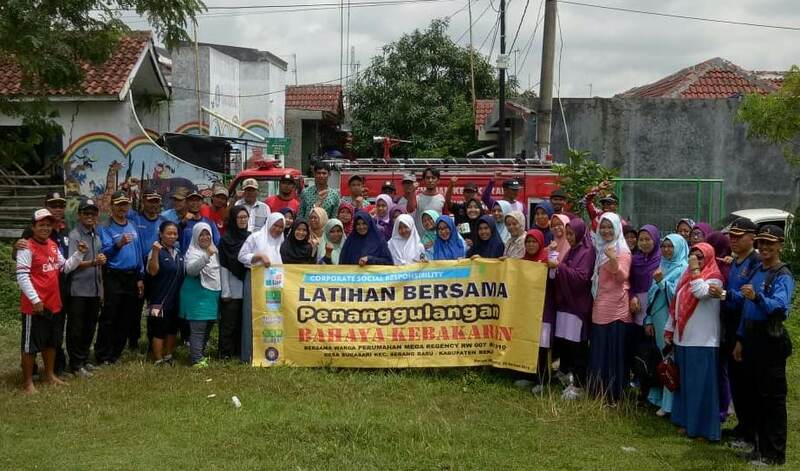 EJIP Fire fighting’s team implementing Corporate Social Responsibility (CSR) at Residential of Mega Regency, on Tuesday 29 January 2019. PT. EJIP reached out to more than 80 peoples, from two hamlet (RW 007 and RW 010) Sukasari, Serang Baru, Bekasi. Fire safety awareness training gives an understanding of the methods of a fire hazard. The training materials both including theory and practice of basic fire science and firefighting. 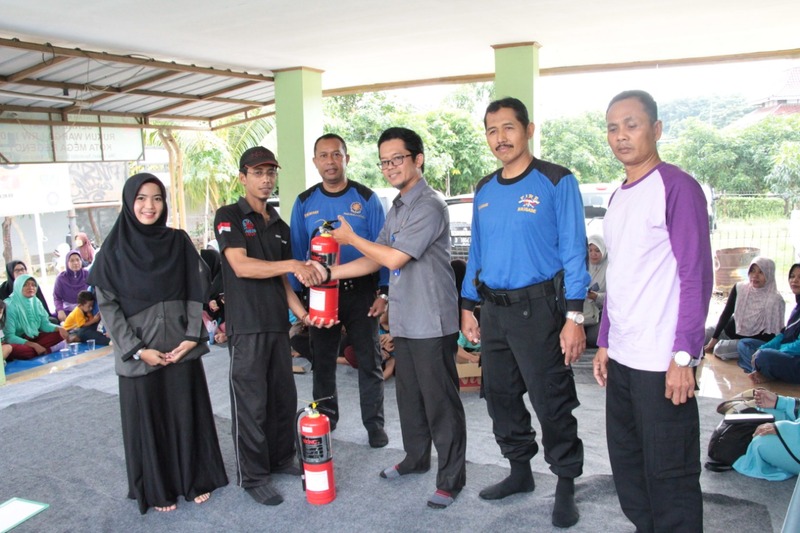 During the practice, they introduce with the traditional and modern equipment (fire extinguisher/APAR). Training materials adapted to the environmental conditions in Mega Regency Residential. Housing with parallel duplex buildings condition can categorize in high risk. 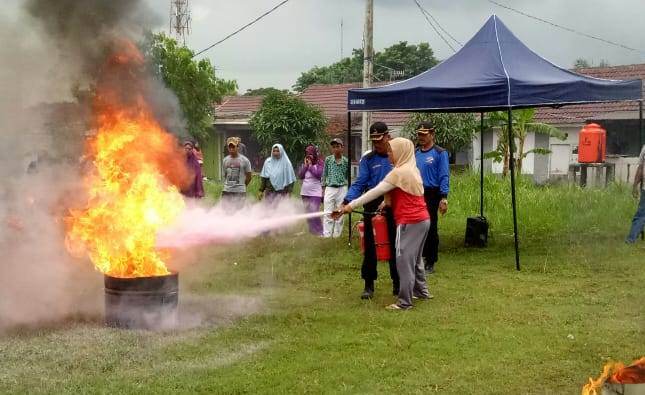 Therefore, the trainer team gave knowledge about fire, the sources and prevention against fire incident. The most possibility trigger of fires in this area is gas stove burner. The participants are given the practice how to extinguished small fire by traditional way i.e wet sacks. In addition, they also practice using APAR, when found fire is already large. In this training are also trained how to response and care with a neighbour who were suffered a fire. After the training, PT. EJIP represented by Mr. Saidi gives donation two fire extinguishers (APAR) to be utilized and placed on the secretariat office of each hamlet. This activity is the Reliable CSR program of PT. EJIP in safety and health categories. 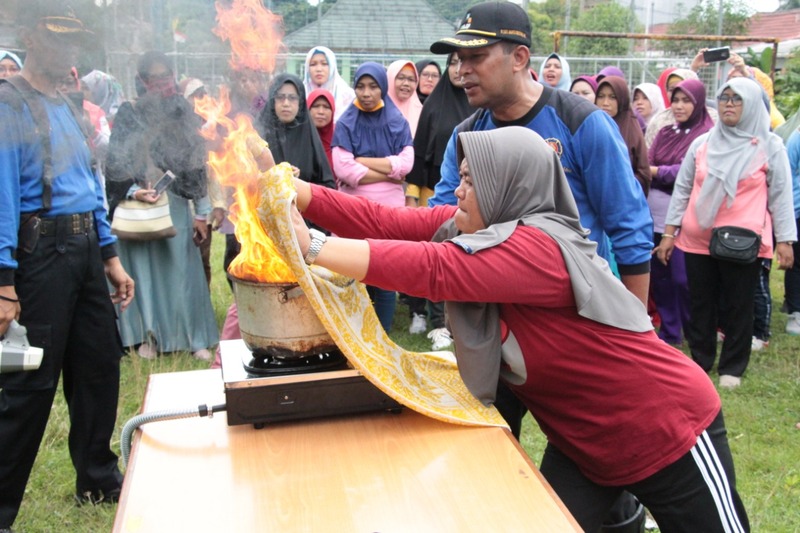 The program has been carried out in several time since Year 2014 by provided training for members and staff of the village near EJIP’s area in the Regency of Bekasi.